“Waiting” ~ Photographer: Amelie THASAN Camera used: Canon E0S – Automatic Focus Pets Photography and Composition tips applied: Highlighting character, Using natural light, Focus on eyes’ expression, Same level view point. Student’s reflection: This picture shows a dog resting on the floor. I was able to capture natural light and use it to make the eyes of the dog more apparent. The dog is filling the frame making it the main subject of the image. 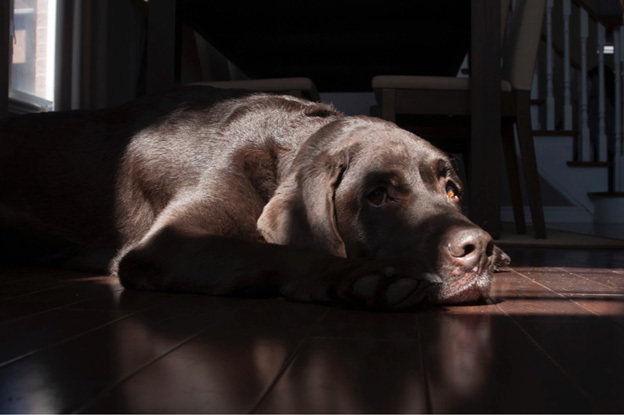 This picture attempts to express the emotion of sadness through the use of minimal light and the position on the dog. “Playing Games” ~ Photographer: Adshayan SUJANANTH Camera used: Iphone 8 Plus – Automatic Focus, Aperture: f/1.8 , Shutter: N/A, ISO: 20 Pets Photography and Composition tips applied: Focus on eyes’ expression, Using natural light, Same level view point, Blurred background Student’s reflection: I was at my cousins house, his dog was very energetic. It treated him with snacks and he became an excellent model! Green Architecture Maquette ~ Designers: Nicole LOZANO, Shantelle SAULON Disciplines: Drawing, Construction, Painting Techniques: Sketching, Line weight, Architectural/Perspective drawing, 3D Construction (cutting, gluing, assembling) Media: Watercolours, fabric, wood, bainbridge, cardboard, papers, glue, plastic, other.